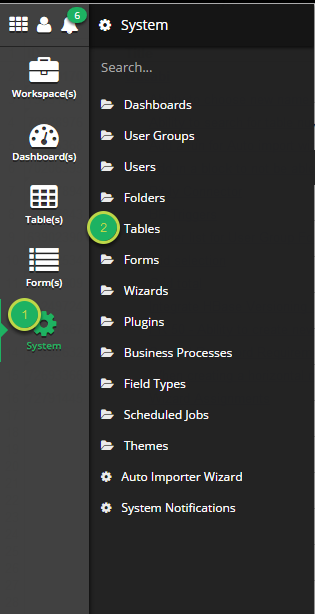 Documentation and SupportReleases Wasabi Release Notes 2016-01-20Users can now search for tables by table ID. 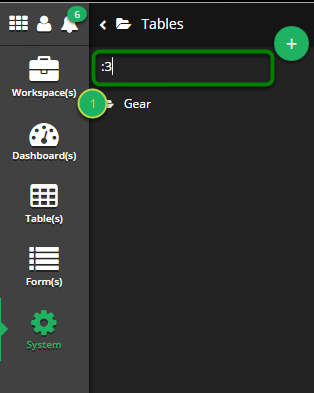 If the ID of a table is know, a user is now able to search for that table in System > Tables > Search. The ID must be prepended by a colon (:). 1. To determine the ID of a table, place the cursor over the name of the table. Zoom: To determine the ID of a table, place the cursor over the name of the table. If the cursor is held over the table name for a few seconds, the ID will appear. 2. Open the 'Tables' system menu. 3. In the 'Search...' field, enter the table ID prefixed with a colon (:). If there is a table with that ID, the folder containing it will appear as a result. 4. Click through folders and open table. 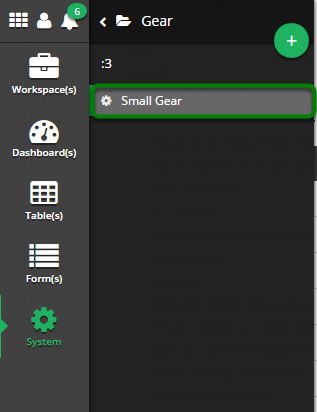 Prev: Changing table name and containing folder now supported in 'Edit Table'. Next: Auto Importer Wizard now allows configuration without saving.